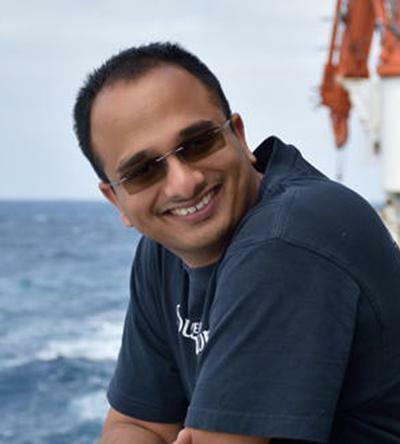 Dr Saikiran Tharimena is a Visiting Fellow in Seismology within Ocean and Earth Science, National Oceanography Centre Southampton at the University of Southampton. His research focuses on seismically imaging the structure of the lithosphere to constrain the physical and chemical properties of the Earth. I seismically image the structure of the lithosphere globally using a variety of passive source seismic techniques. I have broad research interest in seismology, numerical modelling, signal processing, parallel computing, algorithm development, seafloor exploration, remote sensing and GIS. Rychert, C., Harmon, N., & Tharimena, S. (2018). Seismic imaging of the base of the ocean plates. In H. Yuan, & B. Romanowicz (Eds. ), Lithospheric Discontinuities (pp. 71-88). (Geophysical Monograph Series). Wiley.